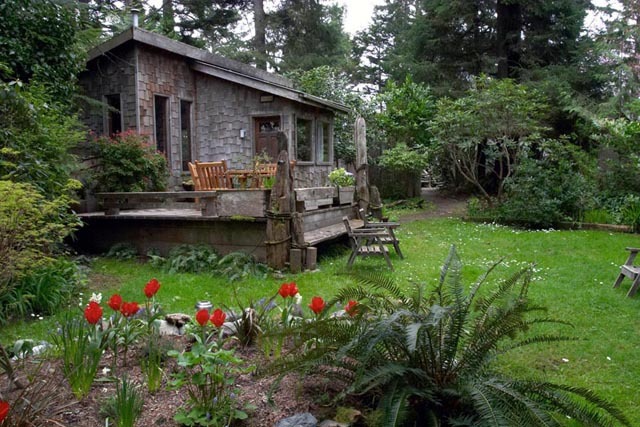 Garden Cottage - Oceanfront accommodation on Chesterman Beach in Tofino, BC. 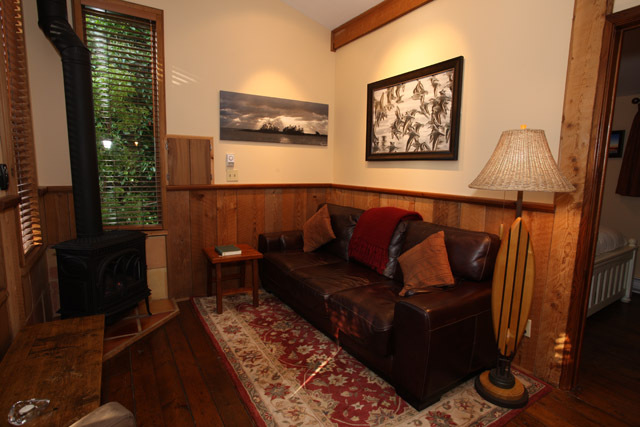 The Garden Cottage is perfect for two people or small family. The Garden Cottage is self-catering and does not include breakfast. 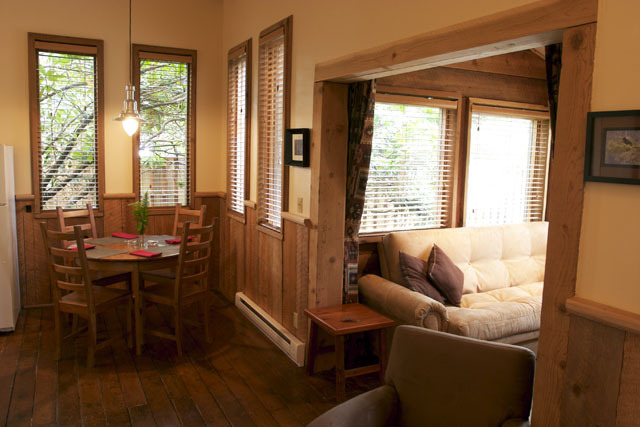 Surrounded by a forest of old-growth cedar and spruce trees the Garden Cottage is tranquil, private and just steps from the beach. 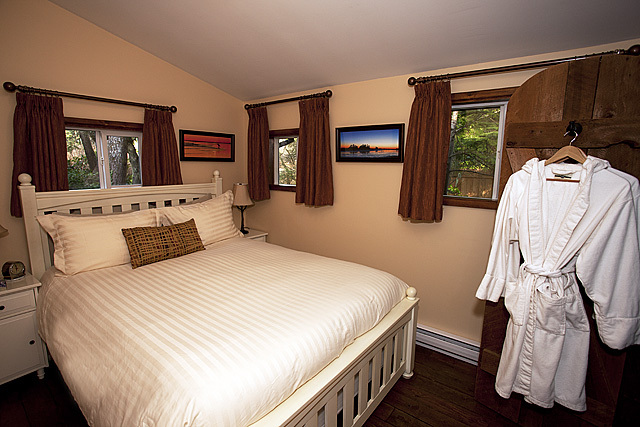 This charming one bedroom cottage features a garden view, queen bed, a double sofa bed, a private bathroom with deep tub and shower, large sundeck with cedar outdoor dining suite, full kitchen, dining and living area, and a gas fireplace.